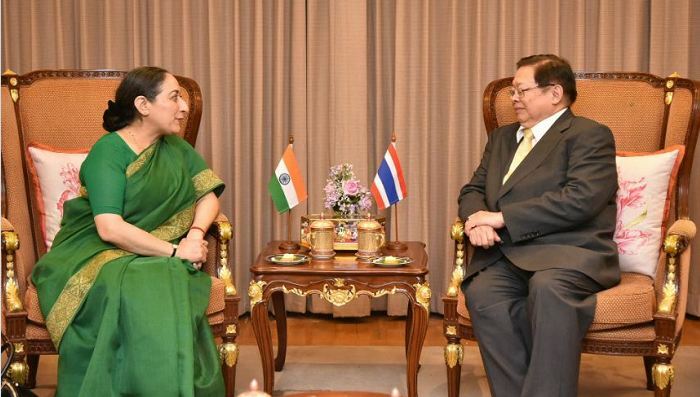 The Fifth Foreign Office Consultations between India and Thailand was held on 18 March 2019 in Bangkok. The Indian side was led by Vijay Thakur Singh, Secretary(East), Ministry of External Affairs and the Thai side was led by Busaya Mathelin, Permanent Secretary, Ministry of Foreign Affairs. The Fifth Foreign Office Consultations between the two countries also provided an opportunity to review the entire range of bilateral relations, including political, defence and security, economic and commercial, cultural, tourism, people-to-people ties. India reaffirmed its commitment to working closely with Thailand in these areas. The two sides also exchanged views on regional and multilateral issues, including cooperation at the United Nations and other International Organisations, Ministry of External Affairs said. The Indian delegation called on Virasakdi Futrakul, Deputy Minister of Foreign Affairs of Thailand.